The process of using a single source of fuel to generate a combination of electrical along with thermal heating and cooling energy is known as trigeneration systems. This type of system when used in commercial process or building climate control applications can provide great benefits to your business. These can include reductions in greenhouse emissions produced by a facility, an improved NABERS rating and energy cost reductions, all by utilising the waste heat produced by a generator system. 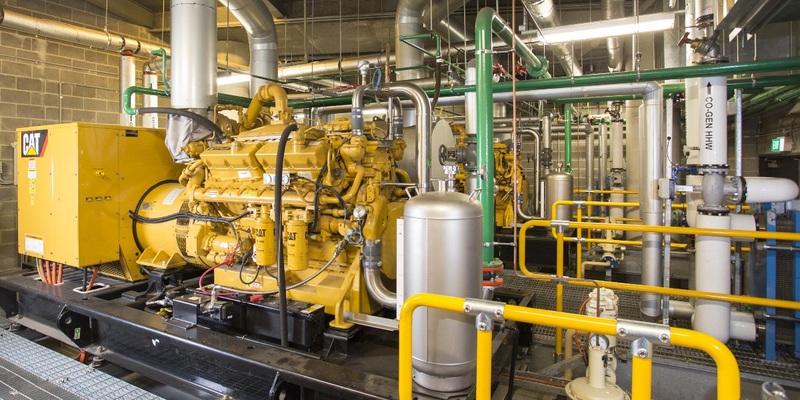 During our 20+ years of industry experience in generator control systems and associated services Systems Insight has developed an extensive knowledge in relation to trigeneration applications and associated control solutions. Based on this knowledge and experience Systems Insight can design, supply and commission control solutions for trigeneration systems tailored to an individual facility’s requirements and utilising the latest technologies, hardware and control philosophies. Contact us to discover how we can help you with your trigeneration requirements, we have an experienced team waiting to help.